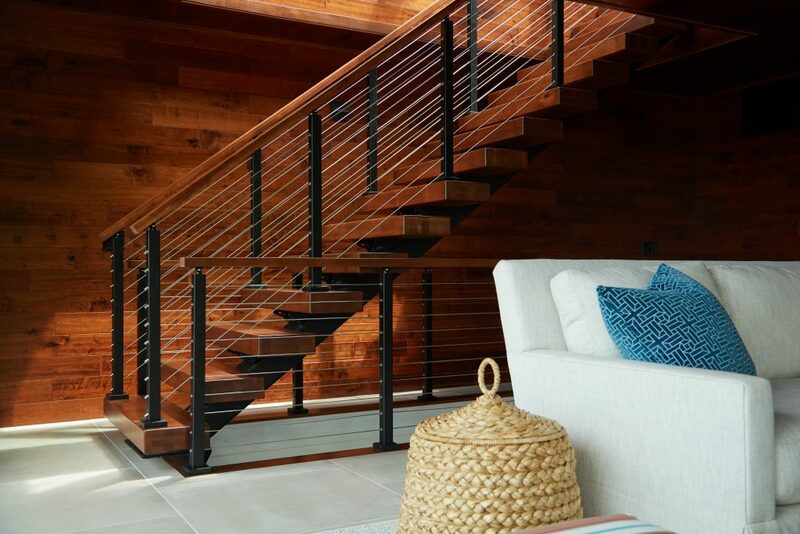 A straight stair stringer is a specific type of metal mono-stringer that rises without changing direction. 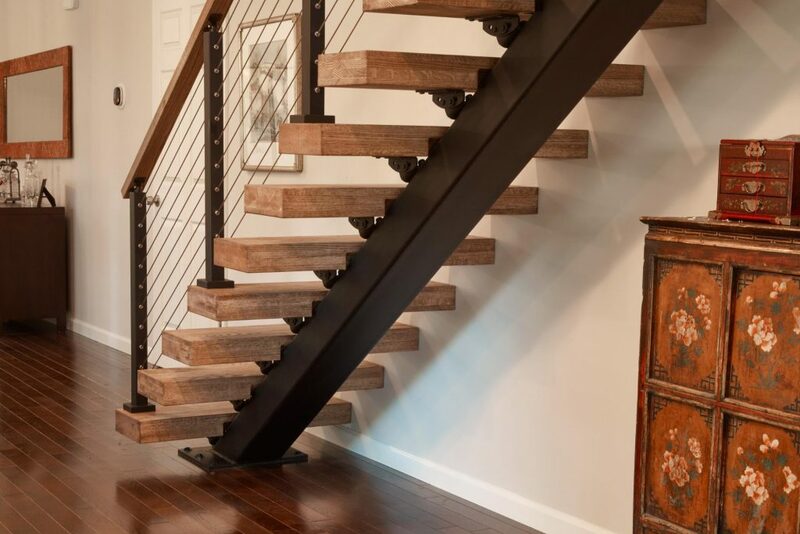 It supports the treads, posts, and handrail on your floating stair system. 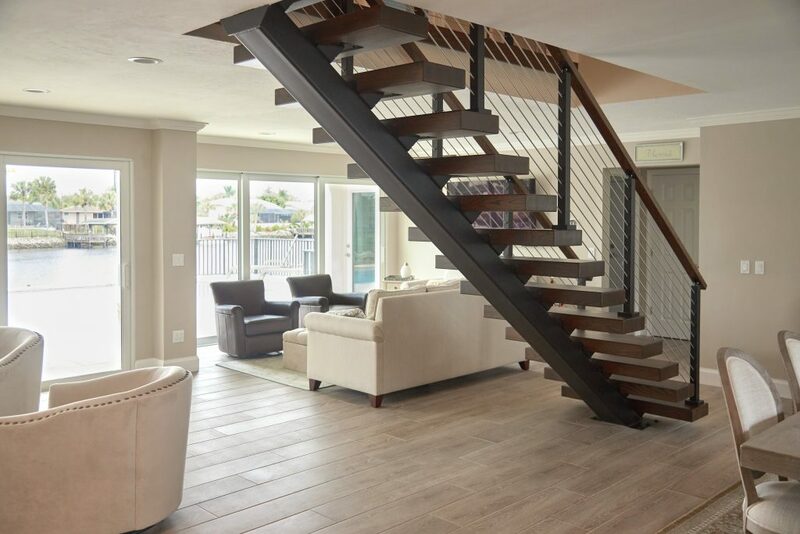 The straight stair is perfect for open-concept and modern homes. 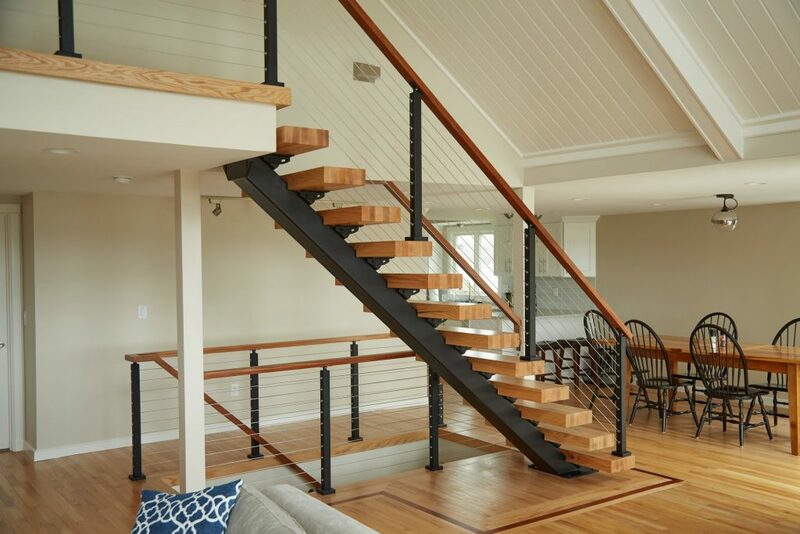 Want to know what all a metal stair stringer involves, check out this page for more detail. Prefabricated 90° metal stringer customization for your home. Click Here to learn more about the making this a reality for your home.